If you're looking for instructions on how to measure for a table pad, this is the correct place. Measure the short side of the table first - this will be the width. Measure the long side of the table second, with leaves removed - this will be the length. 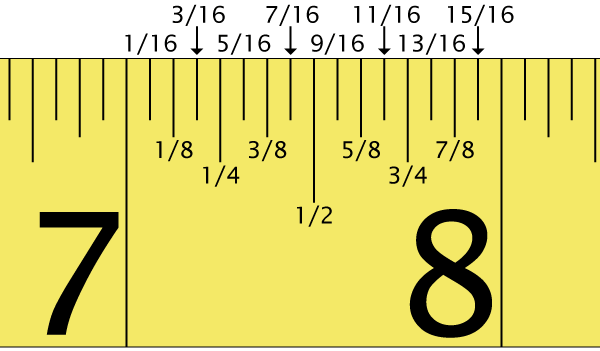 Measure the width of your extension leaves (see image for width). If you have a square table with square corners (90°), these are the measurements you will use. 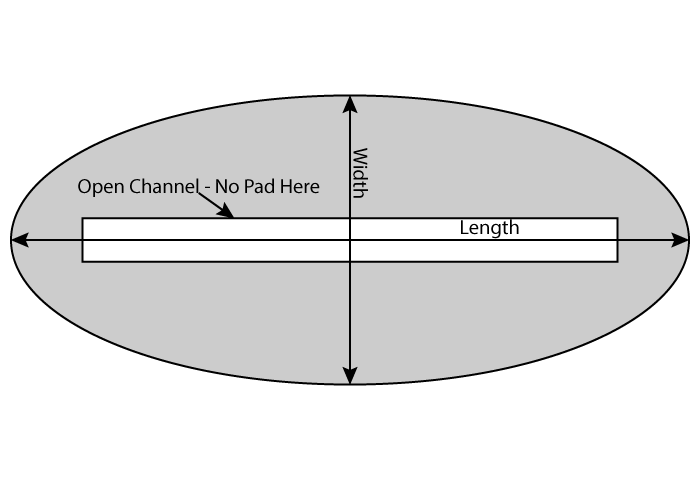 If your table is shaped, refer to the next sections for measuring or patterning. 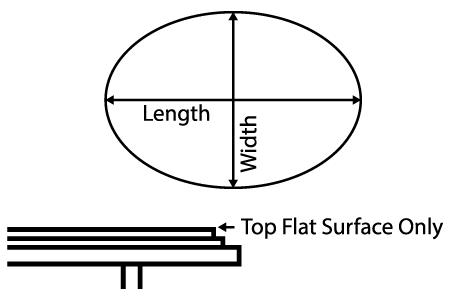 Measure the flat table surface to the nearest 1/16" (excluding beveled edge). Give us the number of leaves and each leaf's length. 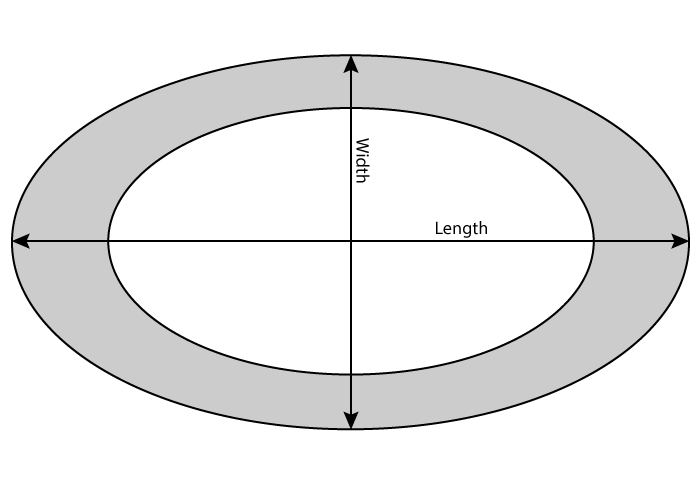 Measure width of table at center split to nearest 1/16" (flat surface only). Important: Do not include beveled or sloped edges. Best to use metal tape measure. 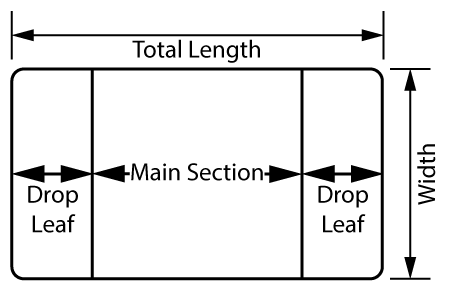 Measure full length of table from end to end directly down center (flat surface only). Important: Make sure extension leaves are removed. Never use measurements provided by manufacturer (they usually include molding or sloped edges). Pattern is necessary unless table has square corners (90 degrees) or is perfectly round. Do not include molding around perimeter or sloped edges. Do not include extension leaves. If your conference table is a conventional shape, use the instructions above for measuring. If it is an unconventional shape, please refer to the instructions below. Measure at the outside widest and longest points. 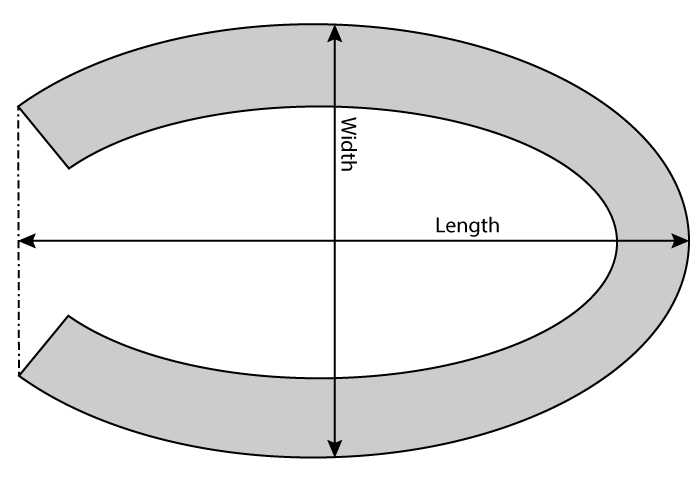 Measure at the outside widest and longest points, to the farthest open edge of the horseshoe. Measure at the outside widest and longest points, these are different than tables with simple port holes. Raise the drop leaves and remove any extension leaves. Measure the long side of the table with the drop leaves raised - this will be the total length. 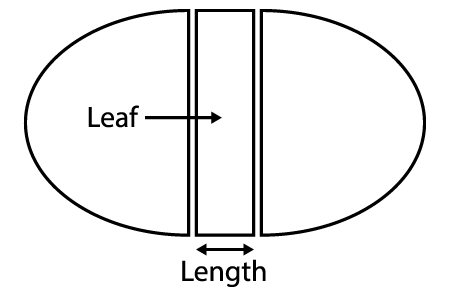 Measure the width of any leaves. Measure the long side of the table second - this will be the length. 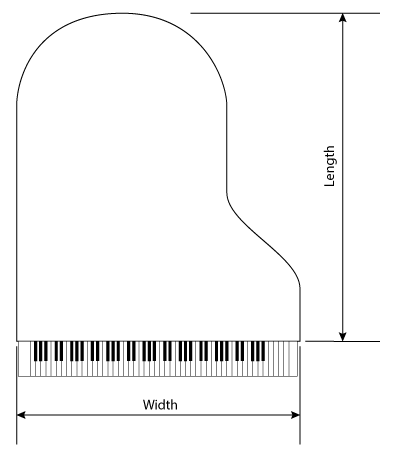 When measuring a piano for a pad, it is important to measure the widest and longest points of the piano. In many areas of the country we have representatives who would be happy to measure and make a pattern of your table (if necessary). In the event that we don't have a representative in your area, our in-house customer service reps are qualified to walk you through the simple step-by-step process (it takes about two minutes) so that you won't even need outside help. More than 50 percent of all tables do not require a pattern, and we have THOUSANDS of table patterns on file. At least 50 percent of table pads do NOT require a table pattern. If your table is square, round, or octagon, we do not need a pattern of your table. WE HAVE THOUSANDS OF TABLE PATTERNS ON FILE! Just check underneath your table or your table’s receipt for a model number (usually written in crayon). We probably have it on file. If we do require a pattern of your table, we can walk you through the simple process in about two minutes!